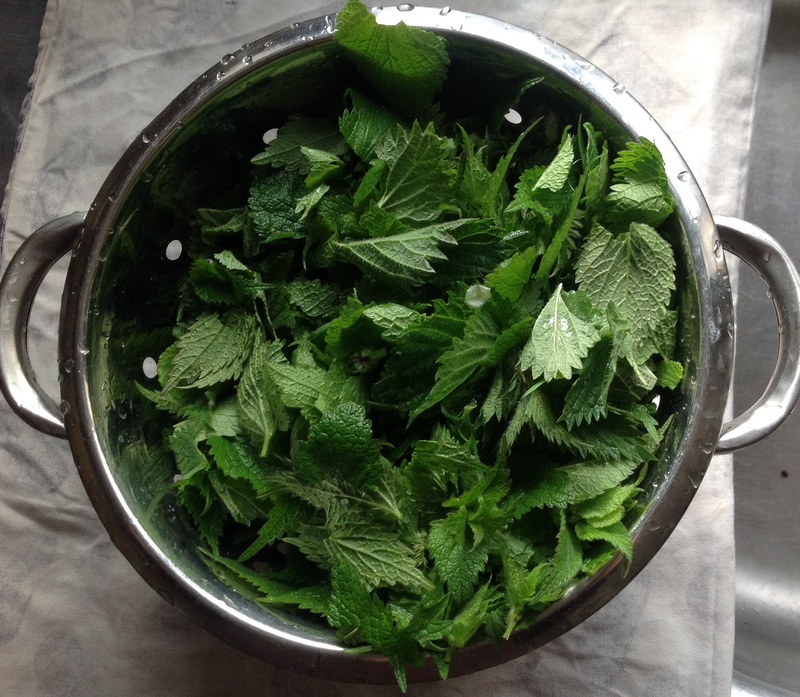 I love the smell of nettles in the morning. They smell of spring to me. I tried to think, yesterday, while playing in the field and kitchen, how to describe their scent. Are they lemony? Peppery? Soapy? None of these will do. They just smell, gloriously, like nettles. Most of us, most of the time perhaps do not get so close to a nettle patch to catch their heady scent. But if, as I did, you go out with a pair of rubber gloves, nice and early while the sun is just beginning to drive off the dew, you can pick a bagful without getting stung and get a good whiff while you are picking. Then back to the kitchen and a sinkful of scented green leaves (rubber gloves still on); blanch them and squeeze out the water (rubber gloves off at last), mix with cooked potatoes, semolina, flour and egg. 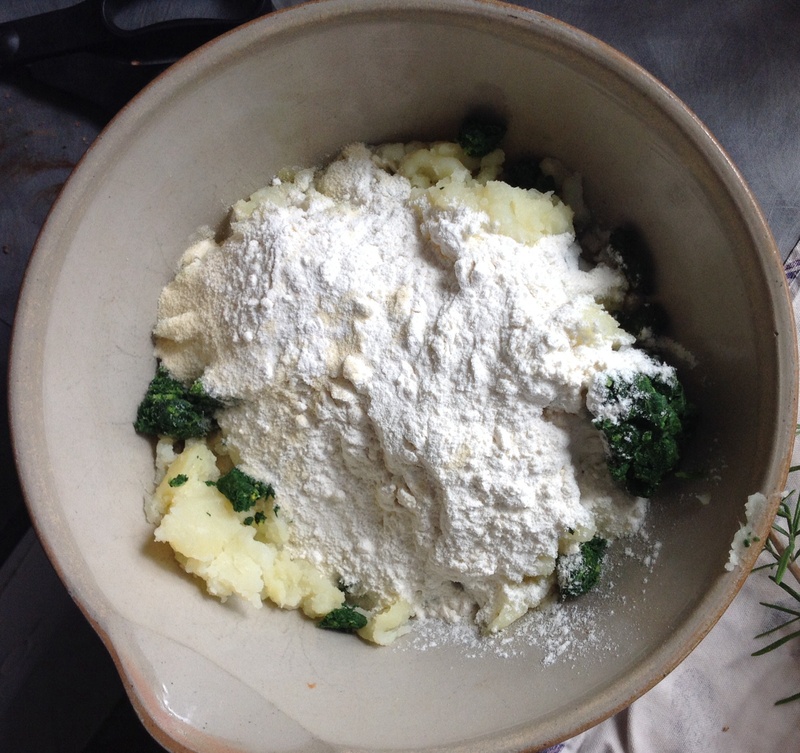 This is the dough for potato and nettle gnocchi, which we ate in the evening with sage butter. I have made nettle pasta (brighter green than spinach pasta) before but it was my first time of making these delicious little dumplings. Oh, and those nettles are very nutritious, and free, and you can make all sorts of things out of them. All very worthy, but I was just having fun. 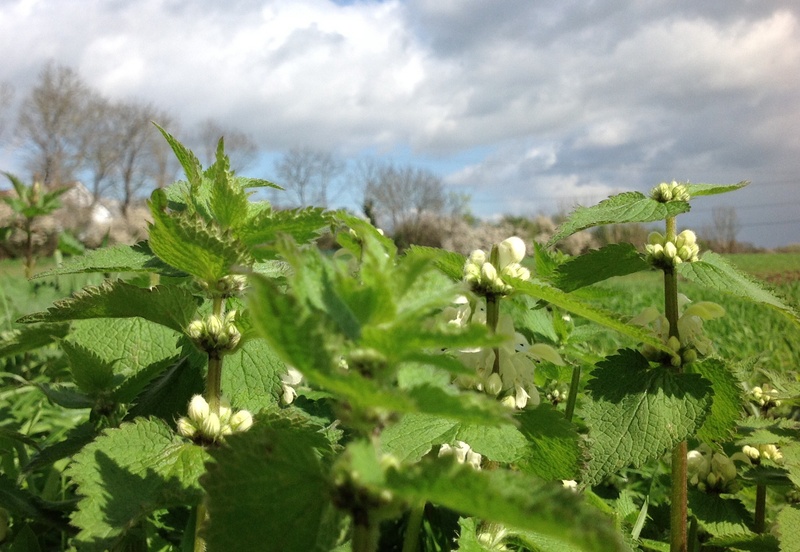 Note:After reading the first version of this post, my friend pointed out (see comments below) that the nettles in the picture with the fetching white flowers are dead nettles, which look very similar to stinging nettles and grow in the same places but are unrelated and do not sting. So I went back to the nettle patch for another look and indeed there is a fine mix of both urtica dioica (with stings) and lamium album (without). Luckily both are edible as I suspect both went into my cooking! Swallows swoop and skim over the grass when I walk Doris the dog round the village sports field, telling me it’s summer even with a gale blowing and grey sky overhead. Blue sky later: good for an evening walk. 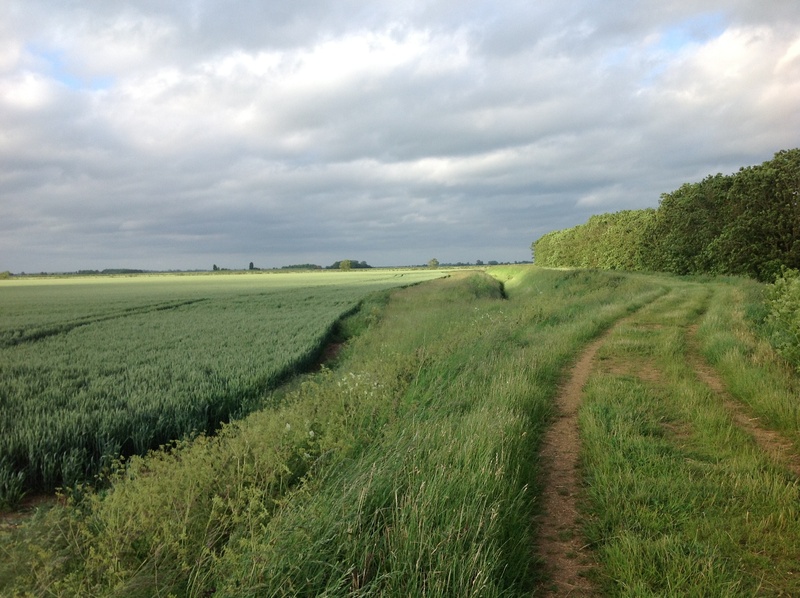 The footpath runs along the bank of Heckington Eau and I look over fields of wheat or peas, stretching like a dark green sea below me. 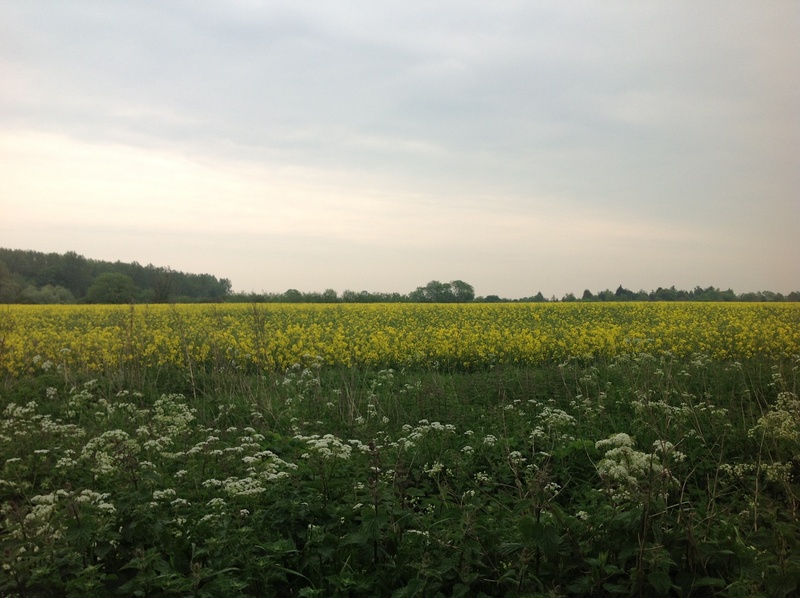 The banks of the drains, so plain in winter, are bursting with grasses, cow parsley, wild flowers. 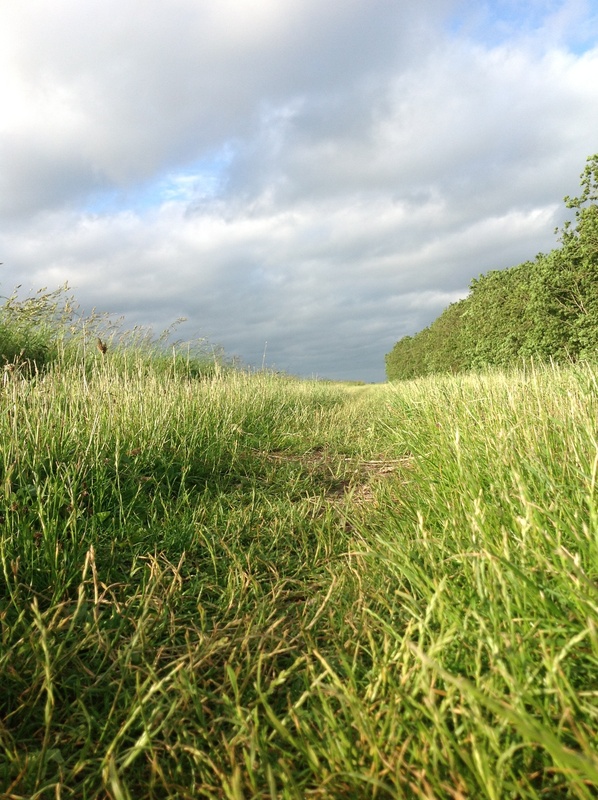 Many fields have wide verges left uncut for wildlife: crops and grasses make stripes of light/dark green, grey, yellow. Stripes bring to mind the Isle of Wight, 1970s, bottles filled with layers of coloured Alum Bay sands. Before that, in my grandmother’s house, stripy sands in a bottle were from the Egyptian desert: my teenage summers or my mother’s lost, hot childhood, bottled. And watery fen or arid desert exist under the same bowl of sky. I’ve been looking for years for a Christmas pudding recipe that I like enough to use more than once – and think now I’ve found it. Called Plum Plum Pudding – plums twice because it uses fresh plums as well as prunes – it’s from Dan Lepard’s recent book, Short and Sweet and is delicious. I also made Figgy Pudding and a more classic Xmas pudding from the same book, but we’ve not eaten them yet. Less rain today. Took dogs out for v quick walk before we sat down to eat, a little before dusk. 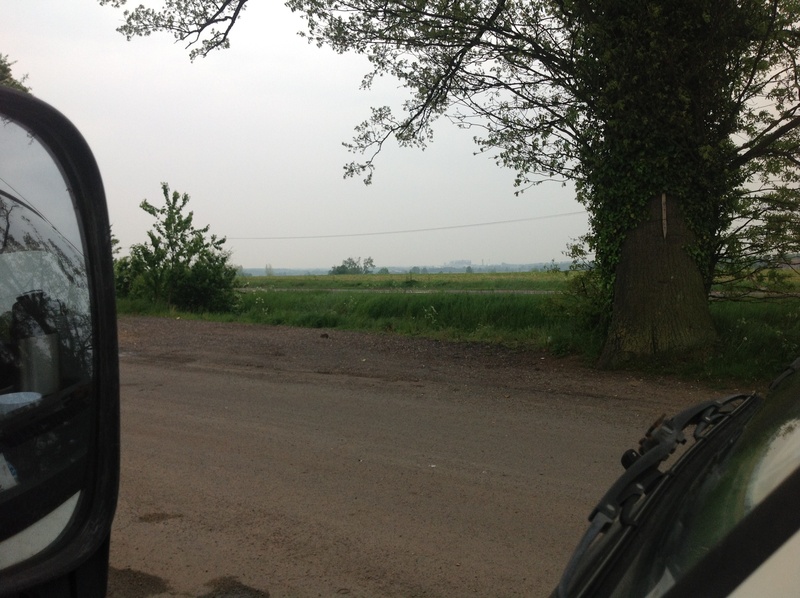 Had brief glimpse of the kind of view I love – vast sky of bright, pale blue washed pink around the edges, green grass and skeleton black trees, intensity of colour that catches me by the throat. 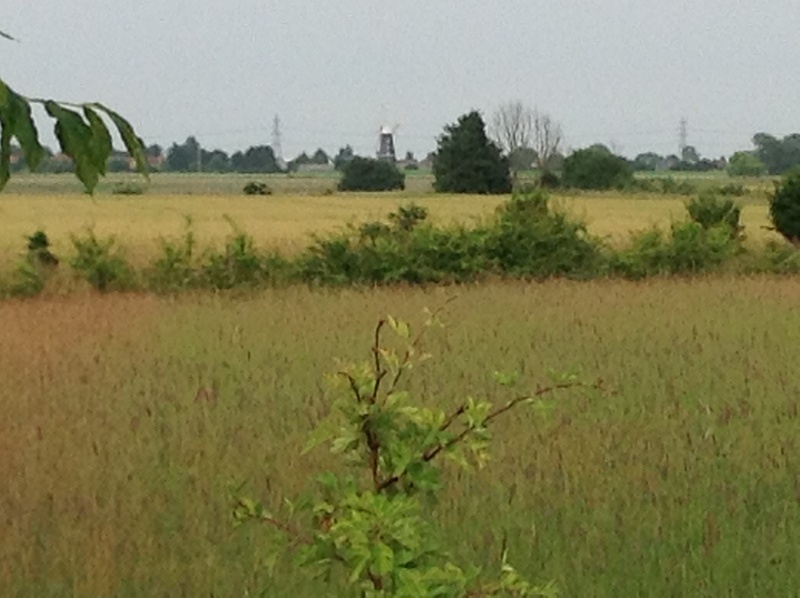 Turning back, I head for the church spire standing tall in the flat landscape. We’ve been here a week. In some ways it’s still like being in a holiday house where you don’t quite know how everything works. 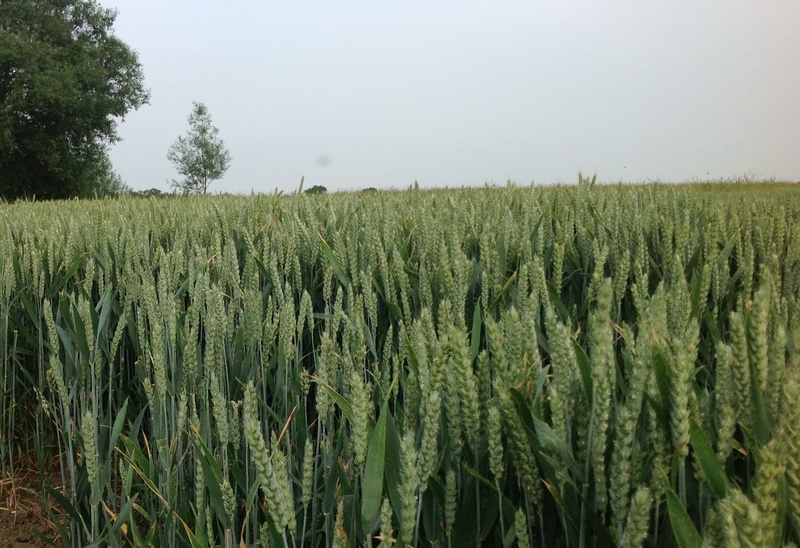 But out walking in the fields it already feels like home. Yesterday’s landscape photos too dark, but here is a picture of the village green with the church behind.